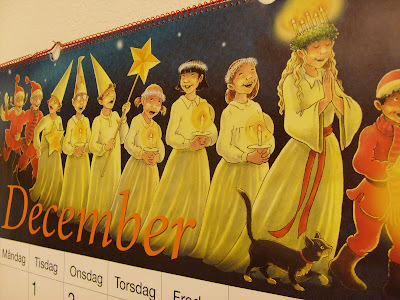 Last Sunday was the 3rd of Advent, which means only one more Sunday till Christmas! 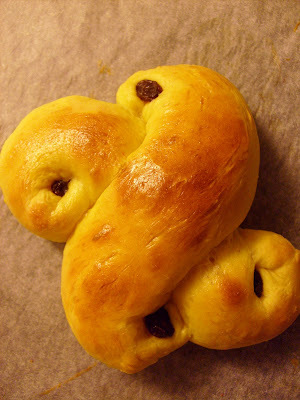 So we baked the traditional lusse bullar. 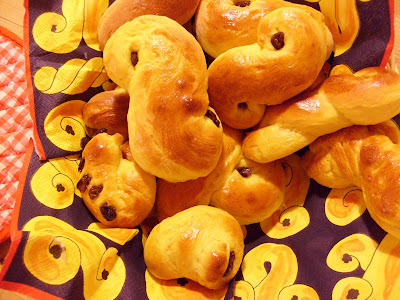 Delicious saffran buns! You can make them into different shapes and they all have different names. 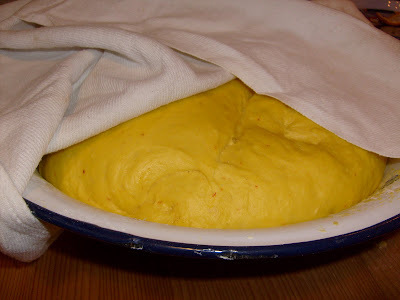 This one is a dubbel kusse. 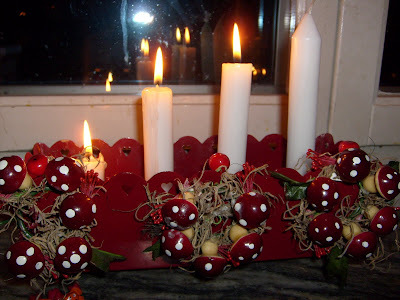 who, on the 1st of Advent, wondered if I had baked the lusse bulle on the photo, which I hadn't. 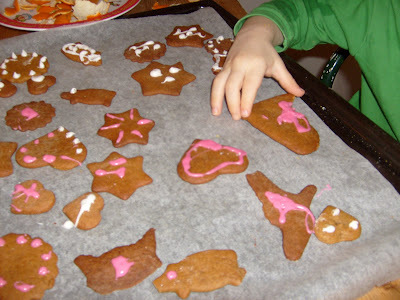 We also made pepparkakor, the Swedish gingerbread biscuits, which of course noone could keep their hands off! Bom proveito! ;) Pois, a festa da Lucia é linda!